Last week the U.S. Department of Justice filed an antitrust suit against Apple and five publishers for alleged price fixing of ebooks. Apple fired back, claiming that it’s the hero in this equation, not the villain--just doing its part to break the monopoly hold Amazon held over the publishing industry. As an author, and a consumer of ebooks, I take exception to Apple’s claim. Prior to Apple jumping into the game Amazon did, in fact, have a virtual monopoly of the ebook market. The Amazon Kindle is a dominant device among ereaders, and its popularity drove the Kindle digital book format to the front of the pack. eBooks have virtually no overhead--there's no reason they should cost the same as print books. Amazon made a decision that Kindle books should cost less than $10, and sometimes sold books “below cost” to reach that price point. However, when Apple entered the game with iBooks it emboldened publishers to force the issue with Amazon and change the dynamic so that the publishers set their own Kindle prices. The uprising against Amazon by the publishers may have been driven--in whole or in part--by the “most favored nation” clause of the publisher’s agreements with Apple for distributing books for iOS devices through iBooks. Apple didn’t dictate what publishers should sell their books for, but it did demand that publishers match the lowest price a given title was being sold for anywhere--even if Amazon was the one setting the low price. With Apple taking 30 percent off the top, publishers felt compelled to protect their margins by revolting against the established practices at Amazon. In response to the DOJ suit, Apple declared that it’s role in the ebooks market is the polar opposite of establishing a monopoly or colluding to raise prices. In defense of its business model with the publishers, Apple views itself as the savior--breaking Amazon’s stranglehold on the publishing industry. I don’t buy it. To be fair, I’m not sure I agree that Apple was involved in collusion or price fixing. I’m not an attorney, and I don’t have all of the facts, but from the little I have seen, it seems that Apple simply tried to establish an agreement with the publishers that would ensure a level playing field for iBooks when competing against rivals like Amazon. However, the fallout of that arrangement does seem to coincidentally be tied to a general rise in ebook pricing. The publishers are to blame, in my opinion, for vigorously trying to defend and maintain a legacy model designed around bound, printed books. 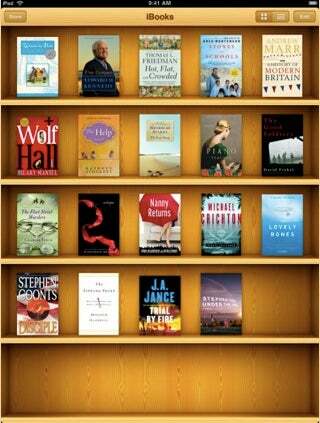 Distributing digital books is a whole new game, though, compared to the traditional book publishing industry. Yes, the publishers still need to make money, pay editors to put the content together, and compensate authors with royalties, but most of the overhead is gone. There is no paper, no printing, no packaging, no shipping. With printed books, those costs are a factor for every book. With digital books, the salaries of the editors that work for the publisher is a fixed cost that the publisher would incur whether it sold books or not, and essentially every additional book sold is pure profit because there’s virtually no overhead. Apple should be on the same page as Amazon--driving volume over profit-per-copy. My book Essential Computer Security sells for $20.63 in paperback from Amazon, and my publisher has set the Kindle price at $17.25. We can debate whether or not a 16 percent discount off the paperback price is a good deal, but I’m willing to bet that the publisher is saving more than $3.38 per book in materials, printing, and shipping costs. I get a slightly higher cut--15 percent for ebook compared to 10 percent for the paperback--but it seems that the publisher’s profit margin on my book is significantly higher on the digital version. The problem with Apple’s argument is that Amazon’s Kindle pricing was only a “monopoly” because Amazon had the courage and integrity to try and set ebook pricing at a point that was both profitable for the publisher, and more reasonable for the reader. Amazon was trying to drag publishers into the Internet era, and demonstrate that there’s a tipping point where the lower price drives sales and generates more revenue and profit than the same title will achieve at a higher price. The publishing industry has to remain profitable of course. But, the pricing model needs to be modernized to reflect the realities of distributing books digitally. If the publishers maintained the profit margin per book sold the same for digital books as it is for printed titles, they’d probably sell far more volume, and it would be a win-win-win for the publishers, the authors, and the consumers.